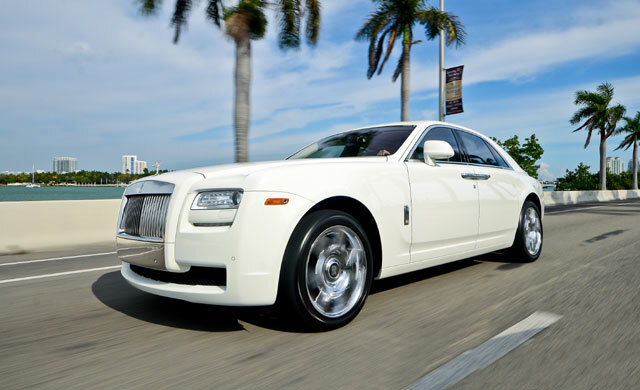 Rolls Royce Phantom Ghost Rentals: Rent a Rolls Royce Phantom Ghost in Miami, Florida. One becomes an iconic car designer and automaker by creating key elements that are present in each vehicle design, much like developing a brand. By doing so, the make and models become instantly recognizable. There are many elements that are purely Rolls Royce, from the unique height ratio to the elongated hood and wheelbase. 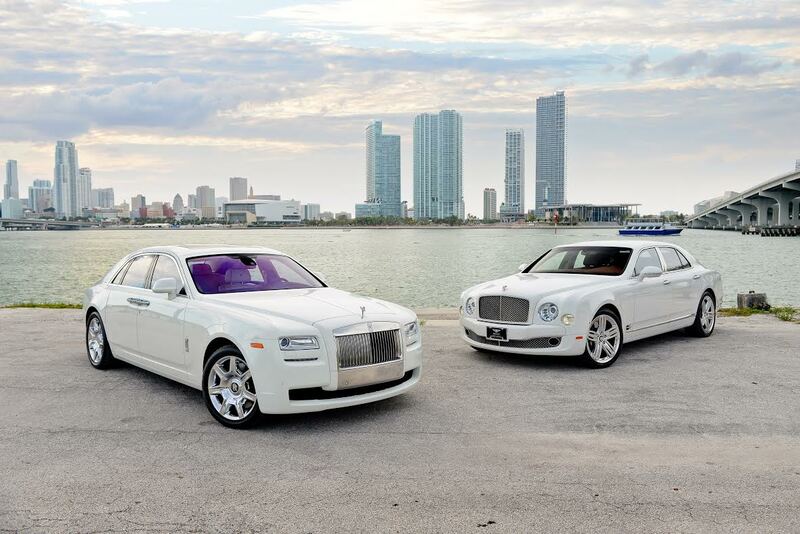 These are the trademarks, the calling cards if you will, of Rolls Royce. 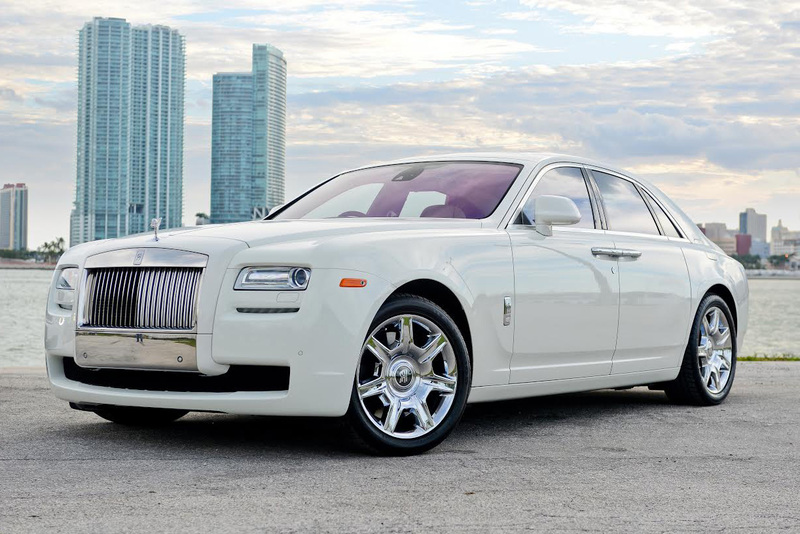 Each is just as obvious inn the latest entry into the world of high-end luxury cars at Elite Luxury Services, the Rolls Royce Ghost. 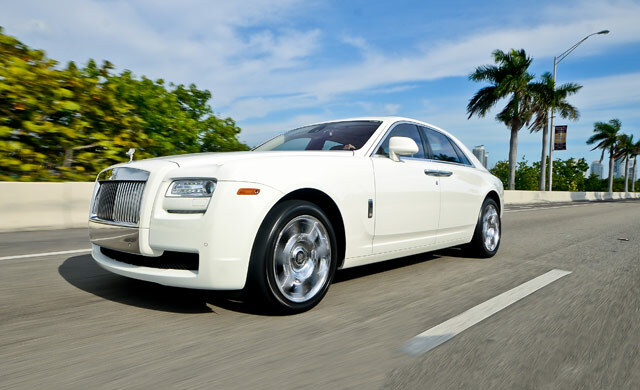 While the seductive lines of the exterior are certainly breathtaking, the style and comfort of the luxurious interior is a primary element that has made Rolls Royce the respected automaker it has been for over a century. Rolls Royce has always taken pride in attention to detail, allowing the driver and passengers of a Rolls Royce Ghost, the ultimate automotive experience. 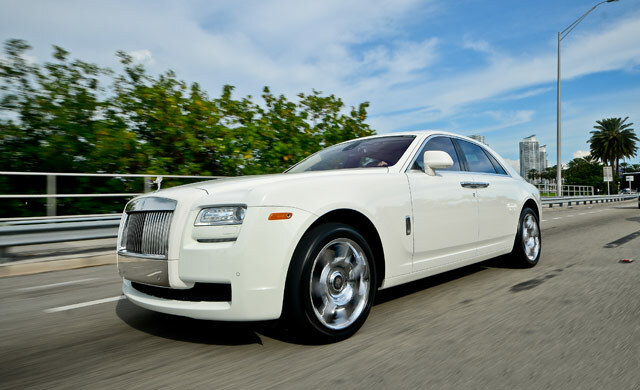 Designed with a focus on simplicity and perfection, the Rolls Royce Ghost has no competition, period. 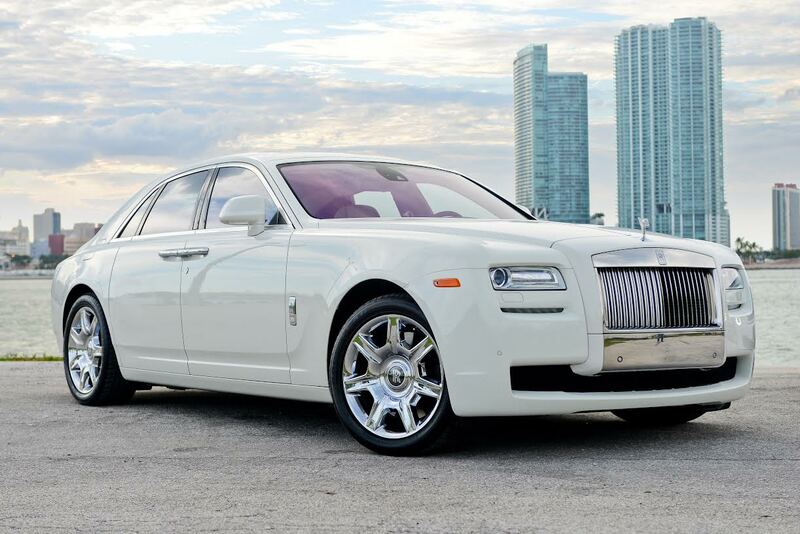 Arrange for one today by contacting Elite Luxury Services to understand why the Rolls Royce Ghost is the standard by which all other automobile manufacturers are measured.